p.m. will be giving away a beautiful Celtic cross necklace to a commenter. Click on the banner above and follow the tour to increase your chances of winning. p.m.: I began writing in 1967 when a school principal suggested that I write short stories and later, novels. I’d just moved to the Mississippi Delta from New Jersey when my father, an FBI agent, was transferred. I didn’t have any friends because frankly, most residents didn’t want the FBI in their midst, so the principal suggested that I write during all those hours in which I was alone. The result was a lifelong habit which became a full-time career. p.m.: My first book was published in 1984 and had the dry, boring name of Creating the Perfect Database. I wrote computer how-to books when the personal computer industry was in its infancy but had always wanted to write suspense. Finally, my first suspense/thriller was published in 2002 and I never looked back. I’ve been writing full-time since then; I’ve had 17 books released and there are three more in various stages of production and scheduled for release over the next eighteen months. p.m.: The biggest advice I would give to new writers is to take your ego out of your work. So many decent books could be great books if the writers would simply listen to constructive criticism and advice. The second would be to edit until you are absolutely sick of your book. I know of only a couple of bestselling authors who could write something from start to finish that did not require editing (Robert B. Parker and Anne Rice) –everyone else needs to edit and then edit some more. Do not submit your manuscript to anybody (or publish if it you are going the self-publishing route) until it has been completely edited by you and by a professional editor. Friends and family do not count. Don’t expect your book to hit the New York Times bestseller list. There is a definite strategy for hitting the national and international bestseller lists, and it involves deep, deep pockets. So unless you have signed with one of the largest publishers and they’ve told you they’re making your book a bestseller, don’t anticipate lines around the block at your first book signing. However, there is a lot of money to be made and fans to be had in the mid-list range. p.m.: I read In Cold Blood by Truman Capote when I was a teenager, and I absolutely loved the way he told a true story in such a suspenseful manner. I knew then that I wanted to write suspense. I went more toward the fictional side, however, which has given me a lot of latitude I wouldn’t have had with non-fiction. I also love reading Daphne du Maurier’s books, but I have to be very careful that her style does not impact mine. While writing Ricochet, my third suspense, my editor asked me point-blank what I was reading. It turned out that du Maurier’s flowery prose had made it into my own writing, and audiences today want more excitement than description. Susana: What is your work schedule like? p.m.: When I wrote my first suspense, no one was breathing over my shoulder so I took my time and wrote it in between my activities running a computer company. However, once the book was published, I discovered that writing the book was the easy part. The hardest part and most time consuming is the marketing and promotion. Since turning to writing full-time (I retired from the computer business) I spend mornings working on promotional activities and my afternoons writing. I work seven days a week and the last vacation I had was in 1994. I often run across writers who promote haphazardly and expect stellar results, but I’ve found that if you do anything halfway, you can expect the results to be halfway as well. The narrow hallway revealed an older building with dark paneled walls and aged tile floors. Most office doors were closed and locked, though Brenda had applied her skills to Sam’s office door, leaving it cracked open. A lamp on the end table cast just enough illumination to dimly reveal a desk and chairs, an overstuffed sofa and a woman’s blouse crumpled on the floor. The blouse was the start of a trail of clothing that led down another passageway; a lace leopard print bra lay on a chipped tile, followed a few feet later by a stiletto heel and then another… A man’s shirt lay crumpled in a partially open doorway, followed by hastily discarded shoes, until finally two sets of slacks, one male and one female, lay intertwined outside a shower stall. The only sound in the building came from intermingling moans, husky and insistent. Chris pressed Brenda against the shower wall, weaving his hand through her copper hair as he breathed in the fresh scent of shampoo. Gone were the pine needles and debris that had littered her hair earlier; gone also was the dirt and grime that had covered her skin. The water, which had grown tepid as the minutes rushed past, was now clear as it whirled down their bodies and into the drain. He reluctantly pulled back from her soft, enticing lips. “I’ve been wanting to do this to you since yesterday,” he whispered as he nibbled her ear. She responded by tightening her hold on his buttocks, pulling him closer to her as she turned her head toward him. “What took you so long?” she taunted as her lips found his again. His answer was drowned out by the sound of her moan as his hands cupped her and caressed her. It no longer mattered what had transpired days or even minutes earlier, or what fate might hold for them. There was only this moment; a moment he wished could go on forever. The image of her deep amber eyes, her waves of hair cascading between their chests, her lips, swollen from their passions, would be seared into his memories forever. 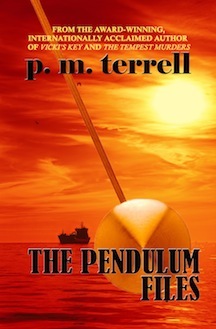 p.m.terrell is the pen name for Patricia McClelland Terrell, the award-winning, internationally acclaimed author of more than 20 books in five genres. 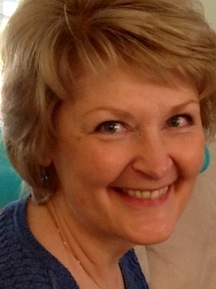 A full-time author since 2002, Black Swamp Mysteries is her first series, inspired by the success of Exit 22 in 2008. The books include Exit 22, Vicki’s Key, Secrets of a Dangerous Woman, Dylan’s Song and The Pendulum Files. Vicki’s Key placed as one of four finalists in the 2012 International Book Awards. Her historical book, River Passage, won the 2010 Best Drama Award, and her romantic suspense, The Tempest Murders, placed as one of four finalists in the 2013 USA Best Book Awards. Prior to becoming a full-time writer, she founded and operated two computer companies in the Washington, DC area. Her specialties were computer crime and computer intelligence and her clients included the CIA, Secret Service and Department of Defense. Computer technology often weaves its way through her contemporary suspense/thrillers. She is also the co-founder of The Book ‘Em Foundation and the founder of The Book ‘Em North Carolina Writers Conference and Book Fair, an annual event to raise money for literacy campaigns. She also serves on the boards of the Friends of the Robeson County Public Library and the Robeson County Arts Council, and served as the first female president for the Chesterfield County/ Colonial Heights Crime Solvers.